The auditorium at Goshen Post Elementary School in Aldie, Virginia, was packed Sunday afternoon for Rep. Jennifer Wexton's, D-Va. 10, first town hall where she discussed her progress since taking office before giving residents a chance to ask her about the issues most important to them. The auditorium at Goshen Post Elementary School in Aldie, Virginia, was packed Sunday afternoon for Rep. Jennifer Wexton’s, D-Va. 10, first town hall, where she discussed her progress since taking office before giving residents a chance to ask her about the issues most important to them. Some of the main concerns: offshore drilling and the effects of climate change. She also stood by her call for Virginia Gov. Ralph Northam to step down. One constituent, Hassan Ahmad — an immigration attorney and Muslim American also running for Virginia House District 87 — asked Congresswoman Wexton about her plans to fight white nationalist infused ideas, which he said are making their way into immigration policy. Just days after the deadly shootings carried out by a white nationalist in Christchurch, New Zealand, the question felt pressing. For Akshay Bhamidipati, a senior at Johns Hopkins University and a democratic candidate for Virginia’s house of delegates in the 87th District, the main concern is the student debt he will face after graduation. “Getting out of college, there’s only so much you can do job-wise. Not everyone starts off with six-figure salaries,” said Bhamidipati, who fears the costs of living will make paying student loans a serious challenge. Wexton said refinancing options for students is a major part in helping students succeed financially. 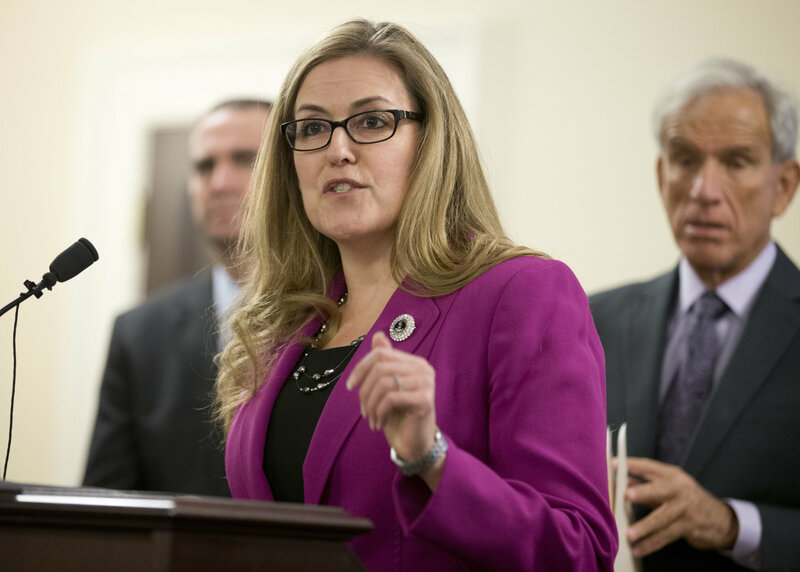 “We also need to make sure that we protect things like Stafford Loans, Perkins Loans, Federally subsidized and higher education loans … all of those things are under attack by the Trump administration,” Wexton said. While Bhamidipati stands behind Congresswoman Wexton, he said he feels Congress’ initiatives won’t make it through the Senate or see much support from the Department of Education. During the town hall, Congresswoman Wexton also expressed her concerns over the budget. She said while she doesn’t see any infrastructure support in the budget, democrats are still energized to come up with a plan of their own and see if they can work with the Senate to find some bipartisan cooperation. She said her main concern is listening to her constituents so she can move the issues that are most important to them forward.